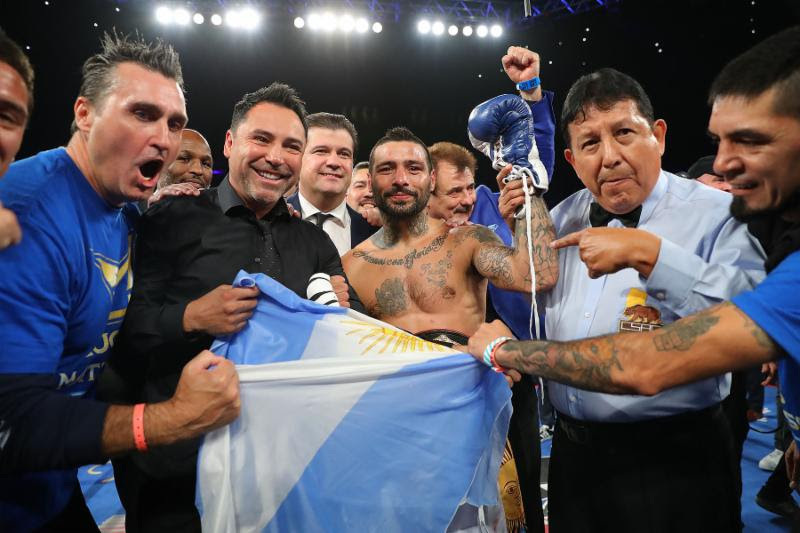 In his third opportunity at a world title, Argentine knockout artist Lucas “La Maquina” Matthysse (39-4, 36 KOs) stopped previously undefeated Thai superstar Tewa Kiram (37-1, 27 KOs) in the eighth round of a scheduled 12-round fight to win the WBA Welterweight World Championship on HBO Boxing After Dark in front of a roaring crowd of 6,143 boxing fans at Los Angeles’ “Fabulous” Forum. After several rounds in which Matthysse pushed forward to cut the distance, the 35-year-old landed an overhand right that dropped him immediately. After Kiram got up, Matthysse landed a short left hand that ended matters at 1:21 of the eighth round. At the time of the stoppage, two judges had Matthysse winning with scores of 68-65 and 69-64, while one judge had it 68-65 for Kiram, who went straight to the hospital after the fight.